The notes along strings six and five are used to track notes on the other strings. 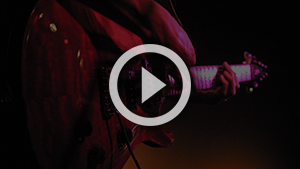 Guitarists use pentatonic scale patterns to play riffs, solos, melodies, and bass lines. 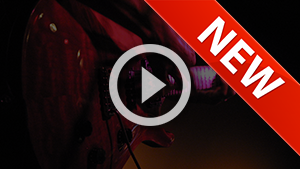 Play various chord inversions, chord voicings, and arpeggio patterns using the CAGED system. Form minor chords with the CAGED system, and mix and major minor pentatonic scale patterns with major and minor chord forms. Major scale patterns are used to measure intervals, build chords, chart progressions, plus play riffs, melodies, solos, and bass lines. Build triads and chords using the major scale, play popular chord progressions, and use music's common number system. Get to know how pentatonic and major scale patterns are properly applied to chords and progressions. Get to know how the modal concept works, play the modes of the major scale, and see in which modes familiar songs are based. Get to know how intervals work in music and use them to play song parts on guitar. Use chords with added chord tones and extensions like sus4, add9, maj7, m7b5, and more. Download the Fretboard Theory PDF e-book for offline use. 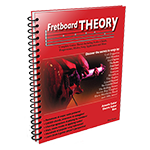 Download the Fretboard Theory videos. 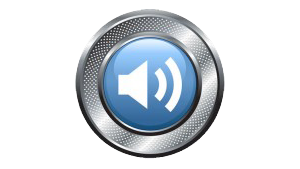 All of the tracks featured throughout the member area can also be accessed here. Hours of audio instruction to use along side the Fretboard Theory books and videos.